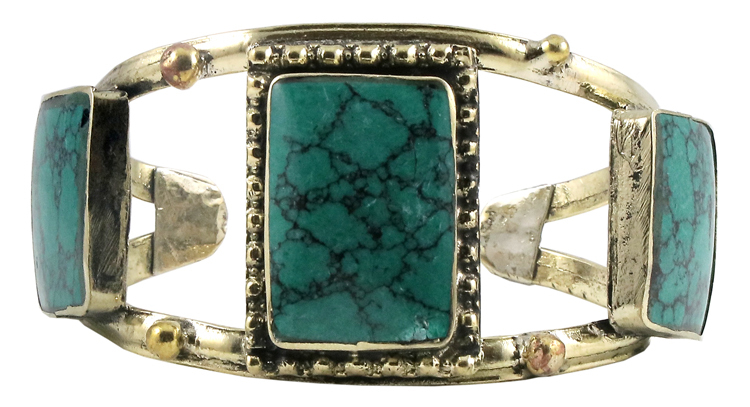 These beautiful turquoise Afghani arm cuff bracelets are hand-made by tribal artisans in India and Pakistan. 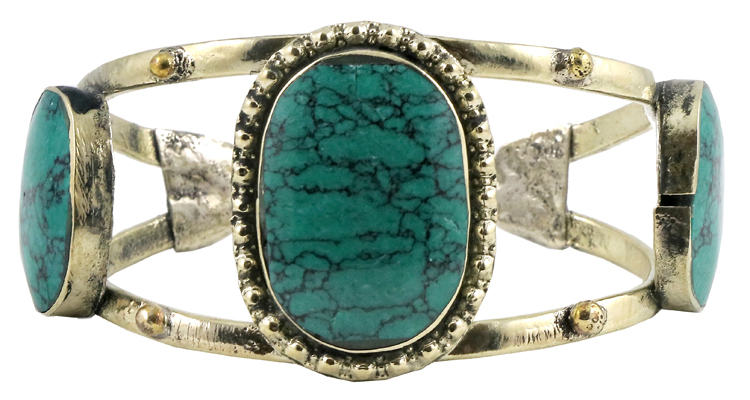 These beautiful Afghani arm cuff bracelets are hand-made by tribal artisans in India and Pakistan. 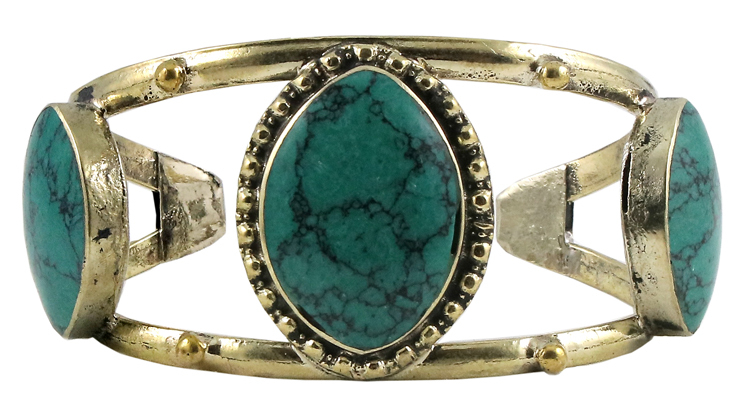 A beloved staple in any tribal belly dance wardrobe, they also make a great statement piece to wear with dresses, jeans, or just about anything! Also makes a great gift. Please note that each piece is hand-made, so the exact pattern and color may vary slightly from photo.